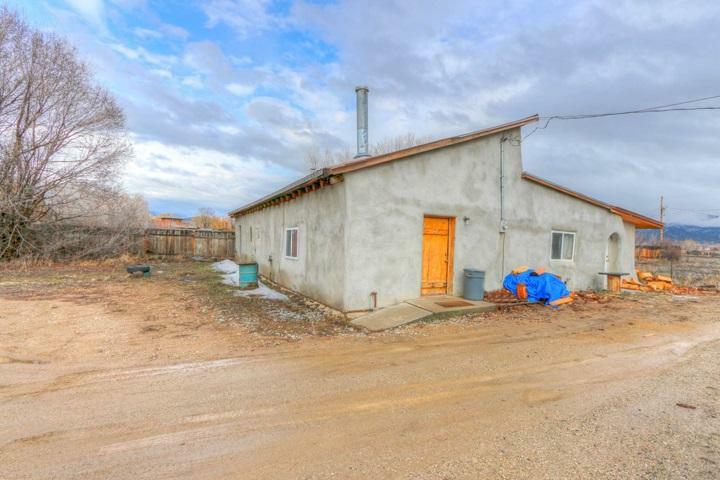 1021 Lower Ranchitos Tino Lane, Taos, NM 87571 (MLS #102921) :: Angel Fire Real Estate & Land Co. 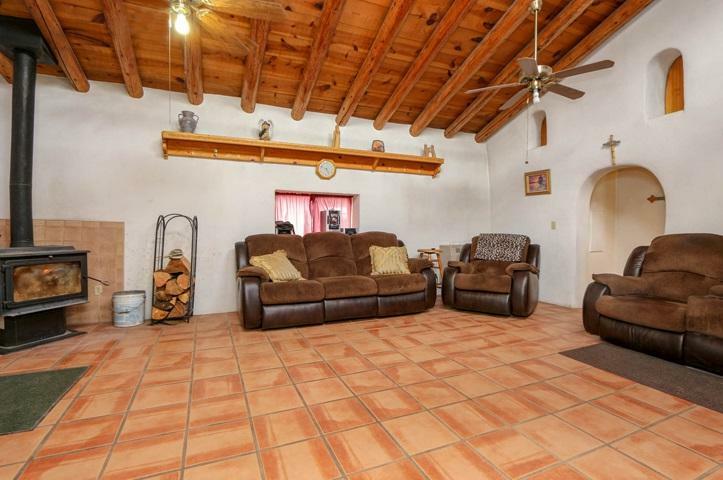 Affordable, sweet, and steeped in Northern New Mexico character, this 1612sf adobe/frame home on 0.31 acres offers you impressive bang for the buck. 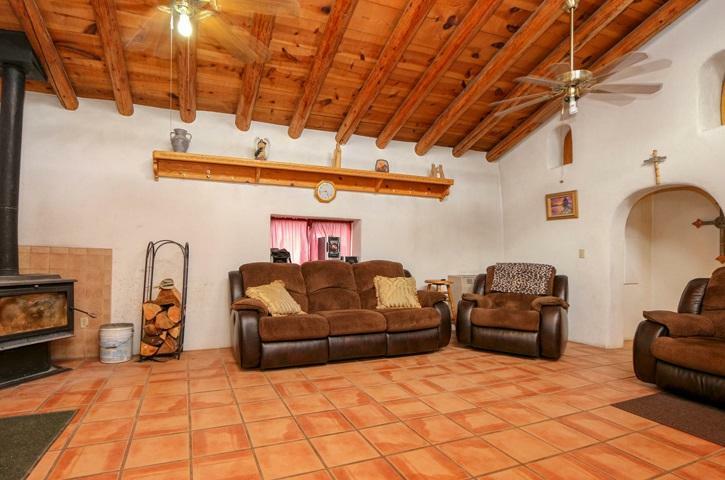 The home has a large living room; the hand-carved wooden shelf by Lazaro Cardenas will remain with the property. The eat-in kitchen is big enough to accommodate not only a built-in island and a separate bar but also a table (with room to spare). The kitchen has a two-sided stainless steel sink, a black Americana gas stove, and a Frigidaire refrigerator. Other appliances include a front-load washer and dryer. Just off the kitchen is a roomy pantry/storage room. Other extra rooms include a loft (check out the little doors in the nichos--you can open them to let in heat from the woodstove in the living room) and a tiled entryway that the seller uses as an exercise room. Both bedrooms and bathrooms are downstairs. 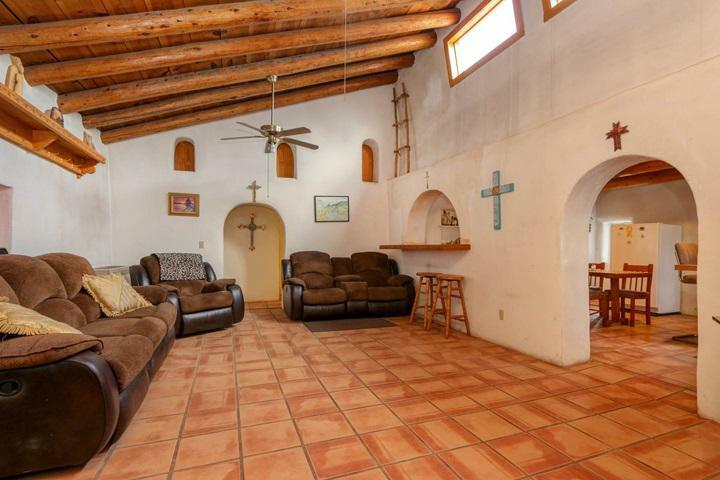 Archways, vigas, beams, and tiled floors, including some Saltillo tiles, add Southwest appeal.